Our rooms were renovated in 2011 and furnished with new furniture and beds with spring or box mattresses. 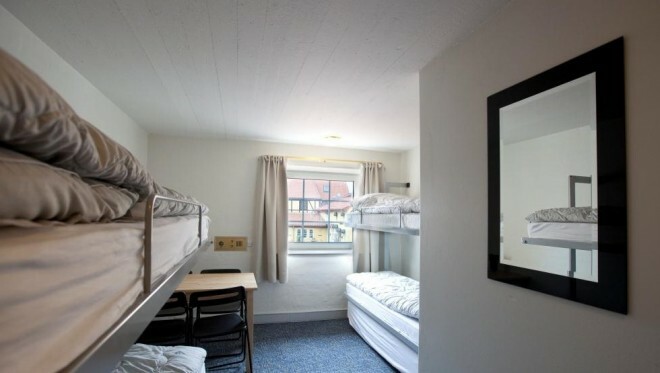 The rooms are bright and can be arranged according to your needs – a room with a single bed, double bed or bunk beds for up to 6 people. The beds have very soft duvets and pillows, and you can choose to bring your own linen, or rent from us. No sleeping bags are allowed due to hygienic reasons. All our rooms are large enough for a double bed.